Hands-on technology and a wide range of new products await visitors to the thyssenkrupp Industrial Solutions booth at bauma 2016 (hall B2, booth 203). As a leading engineering, construction and service provider for industrial plants and systems, the company will be presenting new solutions and product highlights in the areas of mineral processing, mining and materials handling from April 11 to 17. 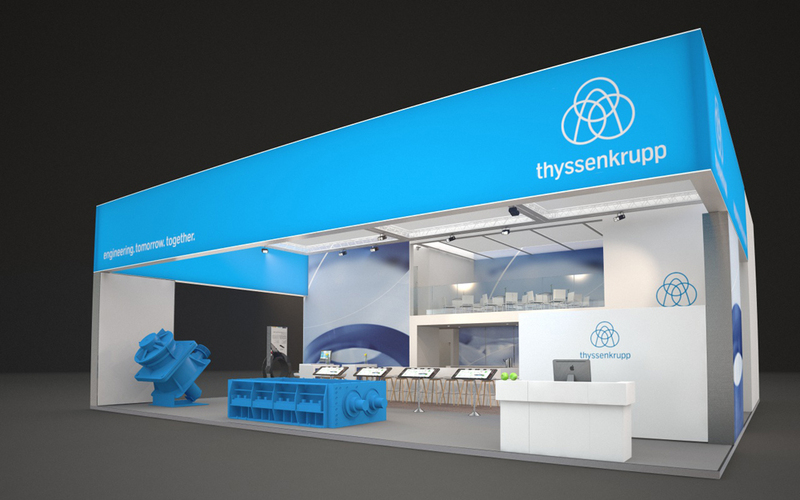 Original exhibits from the modernized standard machine range, numerous 3D models, and a virtual reality simulation of the world’s biggest gyratory crusher developed by thyssenkrupp are just some of the highlights of this year’s presentation on the 220 square meter plus booth. thyssenkrupp has an extensive range of advanced standard machines and modules for raw materials processing – mainly crushers, screens, feeders and combinations thereof, which can be combined into modular systems. Thanks to various standardized parts, thyssenkrupp can offer the machines at significantly lower prices and shorter delivery times. 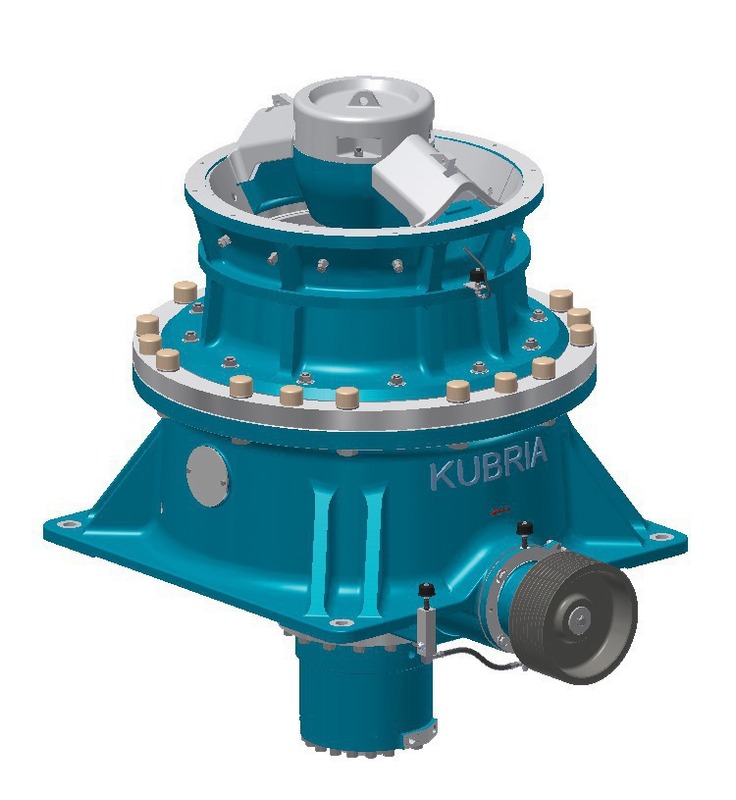 A 9.2 ton Kubria® F/M 90 will be on show at bauma 2016 as an example of the completely modernized and standardized Kubria® cone crusher range. 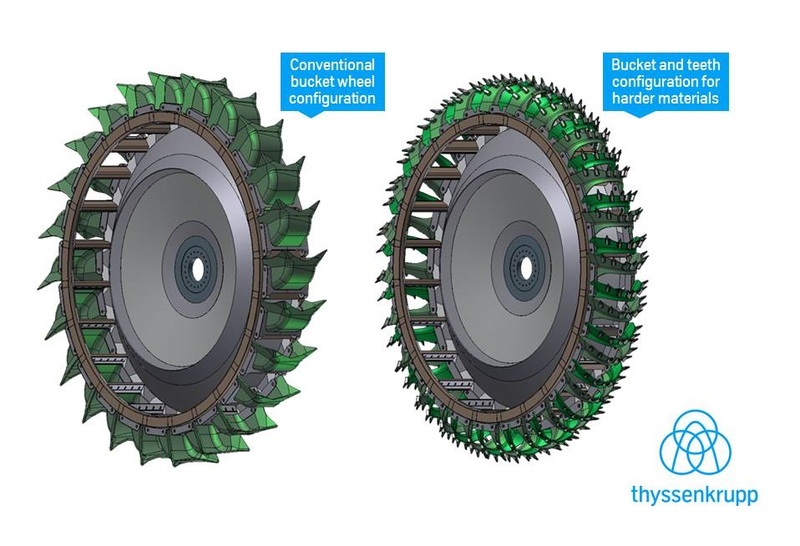 By systematically enhancing and optimizing the proven concept, thyssenkrupp has managed to further increase the throughput of its cone crushers. 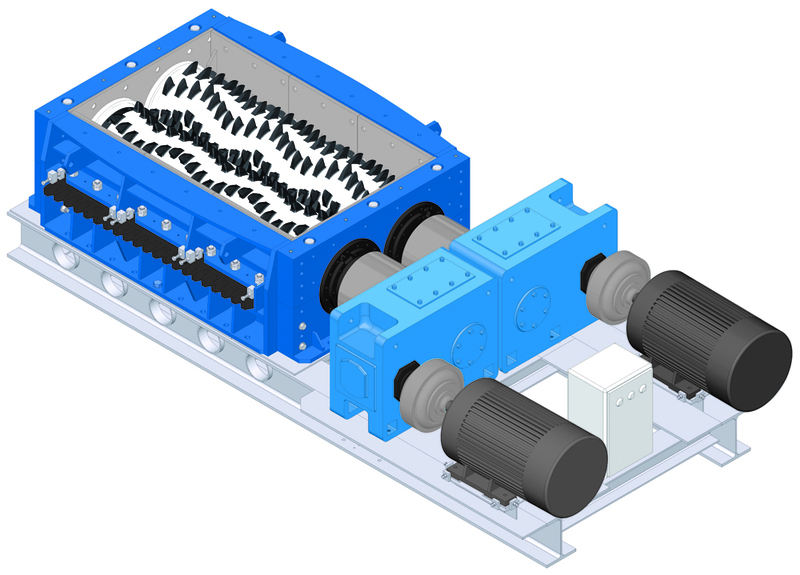 The thyssenkrupp RollSizer range has also been standardized recently and further models added. thyssenkrupp RollSizers now cover the entire range of applications from primary to tertiary reduction of coal. The DRS 660X3000 S RollSizer will be on display at bauma 2016. The KB 63-130, the world’s biggest gyratory crusher, will make its world debut at bauma 2016. 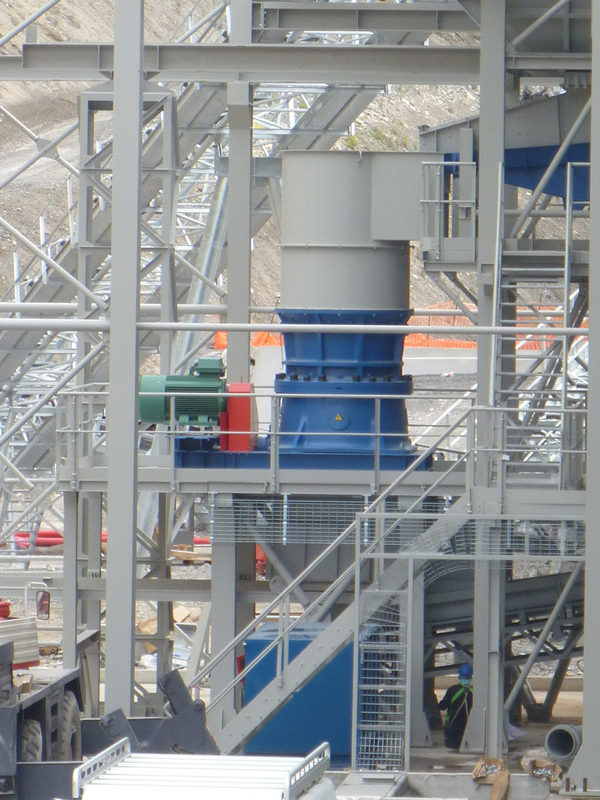 Its throughput of up to 14,000 t/h is more than 30% higher than the predecessor model. The KB 63-130 also sets new standards with a drive rating of 1,500 kW, while at 490 tons it weighs in much lighter than its predecessor, despite a roughly 14% larger mantle diameter of 130 inches (roughly 3.3 meters). This is made possible by a new design principle: Whereas previously an increase in mantle diameter generally also meant an increase in crusher height, the KB 63-130 is exactly the same height as the other thyssenkrupp crushers in the 63 inch series. This allows a significantly higher performance at lower weight. Visitors to the bauma booth will be able to get an impression of the huge dimensions of the world’s biggest gyratory crusher in a virtual reality simulation. At bauma 2016 thyssenkrupp will also be presenting a new generation of compact bucket wheel excavators: the “Barracuda” and the “Mine Shark”. 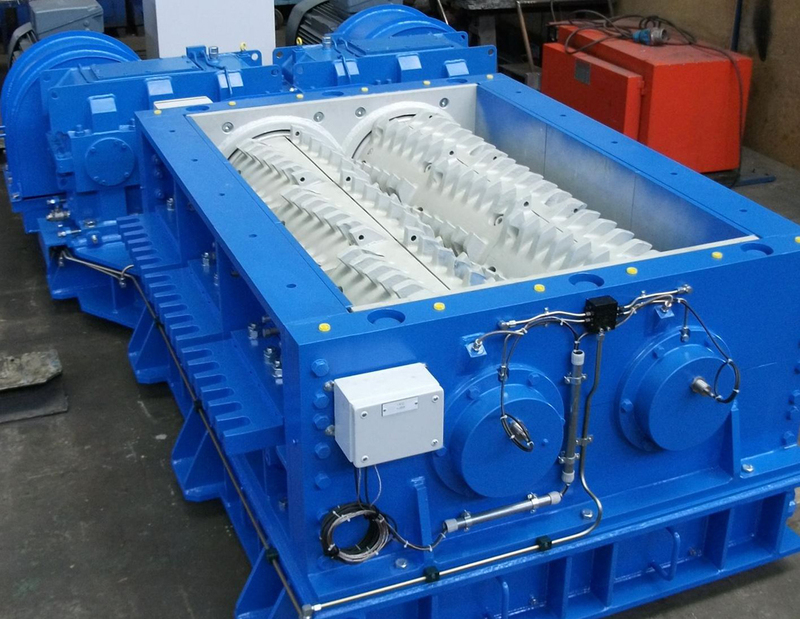 Both machines can be used to mine hard materials with compressive strengths of up to 50 MPa. A model of the “Barracuda“ can be seen at the thyssenkrupp Industrial Solutions booth. 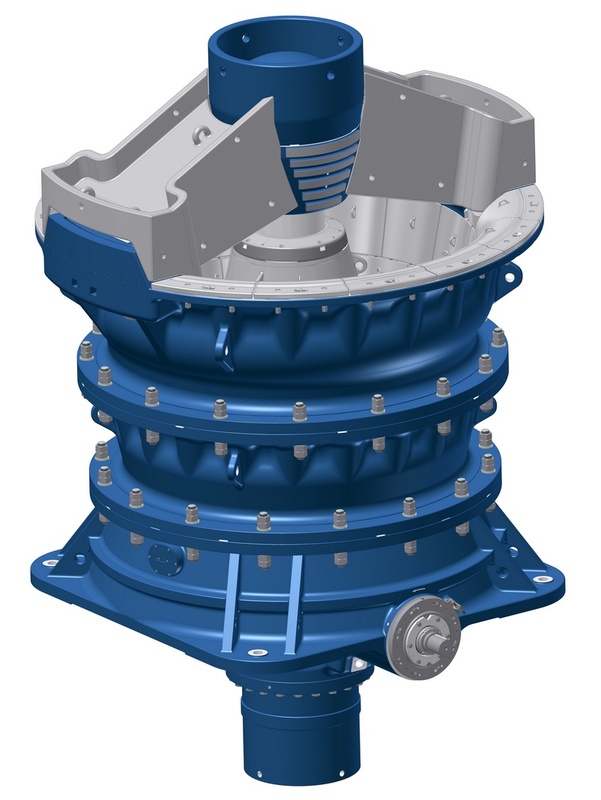 Newly developed bucket and tooth designs enable the machines to work in a wide range of materials, while combining mining and loading in a single machine eliminates the need for hazardous and ecologically harmful blasting work and separate loading operations. Delivering throughputs of more than 3,000 t/h with reduced vehicle and manpower requirements, the new bucket wheel excavators also significantly reduce operating costs. The Industrial Solutions business area at thyssenkrupp is a leading partner for the engineering, construction and service of industrial plants and systems. 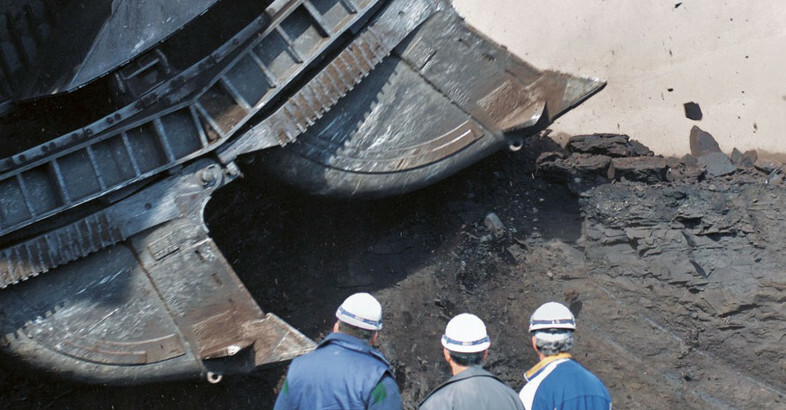 In addition to chemical, coke, refinery, cement and other industrial plants, our portfolio also includes mining, ore processing and port handling equipment along with corresponding services. In the naval sector we are a leading global system supplier for submarines and surface vessels. As an important system partner to our customers in the automotive, aerospace and battery industries we optimize the value chain and improve performance. In collaboration with our customers we develop top-quality solutions and deliver efficiency, reliability and sustainability over the entire life cycle. Around 19,000 employees at over 70 locations form a global network with a technology portfolio that guarantees maximum productivity and cost-efficiency.